Tethyan Resources has decided to pull out of the joint venture with Balkan Minerals Corporations in relation to the Cadinje polymetallic project located in Serbia. The company incurs no penalties in regard to this decision and will have no further liabilities over the project. Tethyan said recent drilling results did not improve on historical assays from the area and gold assays were low. In addition, the geological interpretation of the project has changed with the recognition of two thrust faults which cut the mineralisation off at depth. 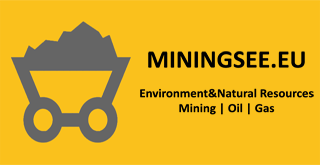 Based on current knowledge the Company’s technical personnel are of the opinion that the potential to increase the known size of the mineralised resource is limited. Chief executive Peter Mullens said: “Tethyan is committed to exploring for gold and base metals within the Balkans and we plan to focus our resources on projects which can deliver the highest return to shareholders”.